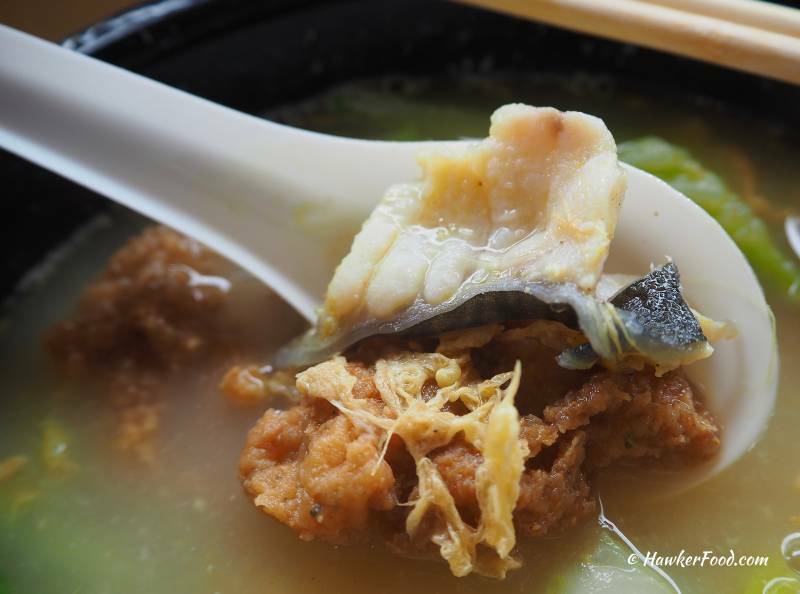 Mention black and white fish soup, Mei Xiang easily comes to mind. 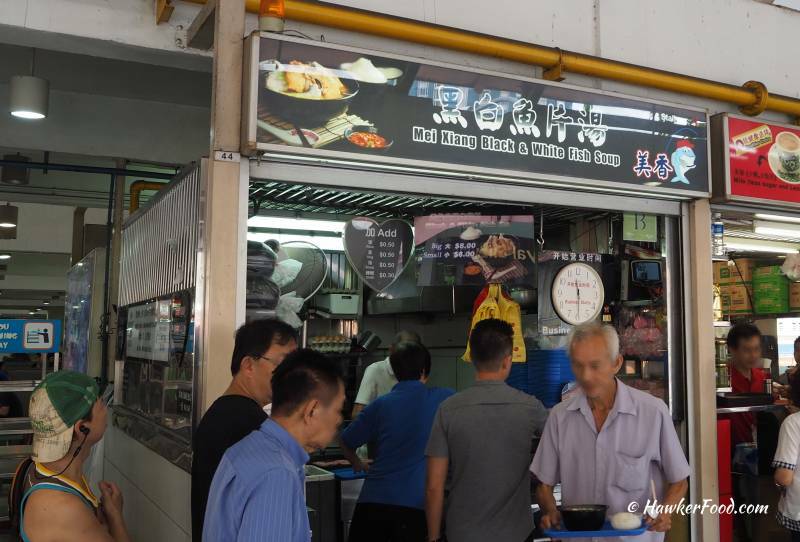 Mei Xiang black and white fish soup (美香黑白鱼片汤) is a popular stall during lunchtime over at Berseh Food Centre. 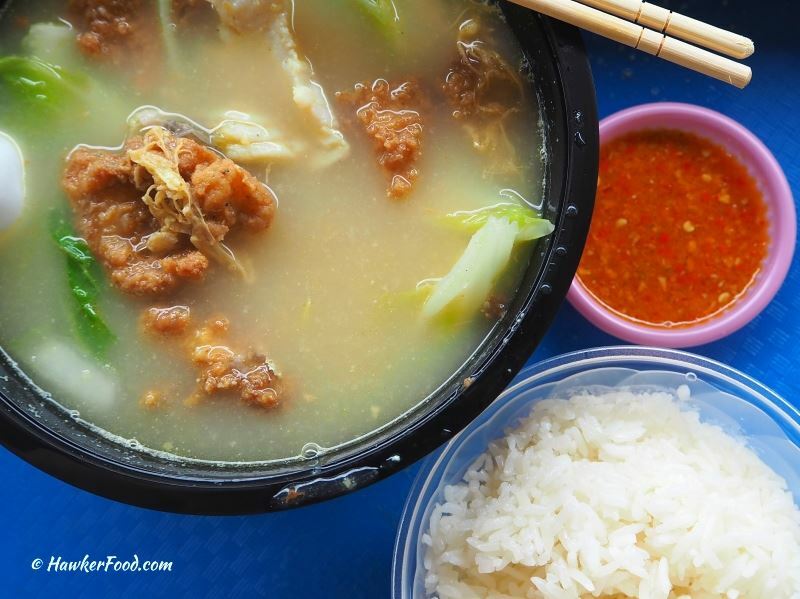 You can almost always see a long queue for their signature fish soup and patrons sitting at their section are all usually having their delicious fish soup. As the fake clock suggests, their business starts at 11.30am. 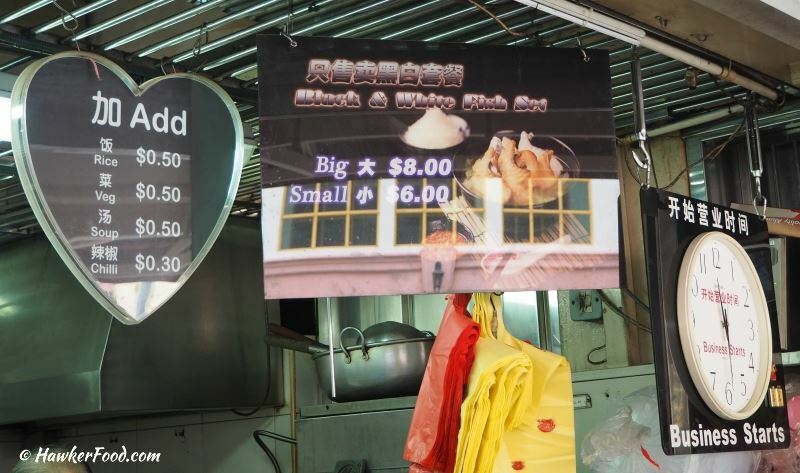 At Mei Xiang, you have a choice of either the small or big portion at $6 and $8 respectively for their black and white fish soup. Take note of the additional charges for soup and chilli. As usual, the queue was long but service was swift and after a short wait my “small” fish soup was ready. The murky soup was simply delicious and I poured some onto the rice to soak it as it tend to be hard. In case you were wondering what exactly is the black fish, it is simply fried fish and white fish being the cooked fish meat. The fish meat slices were very fresh and tasty; I particularly liked the fried fish meat as it had a nice chewy texture. Note: Do chew slowly as there are fish bones. 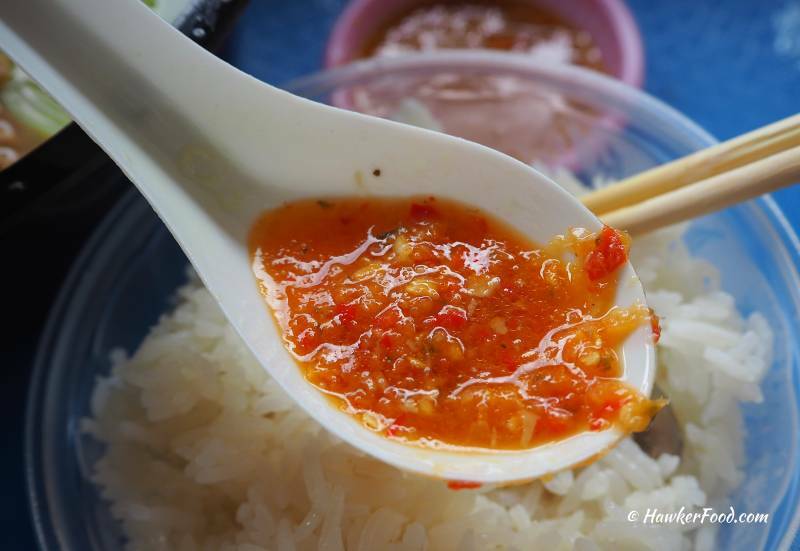 It is little wonder they charge $0.30 for their unique chilli because it is such a wonderful condiment for dipping the fish meat! I loved the punchy zesty flavour which further enhanced the taste of the fish meat. It tasted great with just the plain rice too! When I finished, I wiped my sweat from my forehead and looked around. I could see other patrons doing the same, wiping their sweat away and all having a satisfied look on their faces. 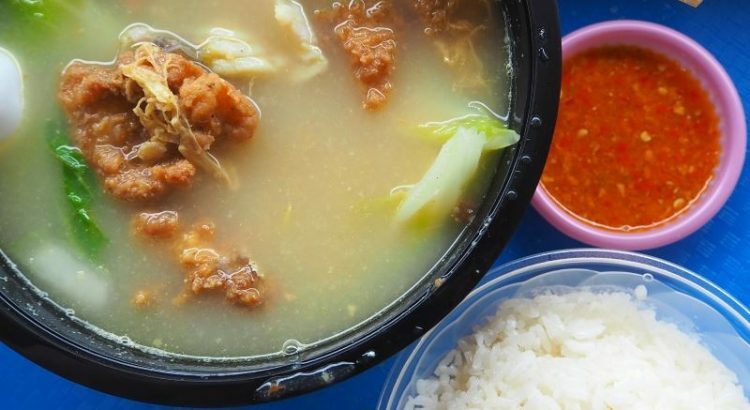 At $6 for a bowl of fish soup, it may sound expensive to your ears but the quality clearly surpasses ordinary food court versions. Do give it a try if you happen to be in the vicinity.